Our traditional rubber stamp has been made with quality craftsmanship for the last 115. This quality rubber stamp coupled with our dedication to customer service makes us the number one choice for purchasing rubber stamps not only in Vancouver but across Canada. 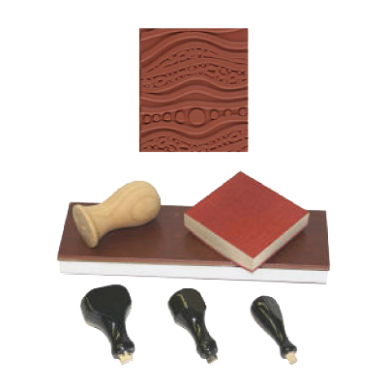 With solid wood handle and base, quality rubber dies and a clear index on the base, the traditional rubber stamp is the most economical and durable of all the rubber stamping products. We can customize the size to suit your requirements. 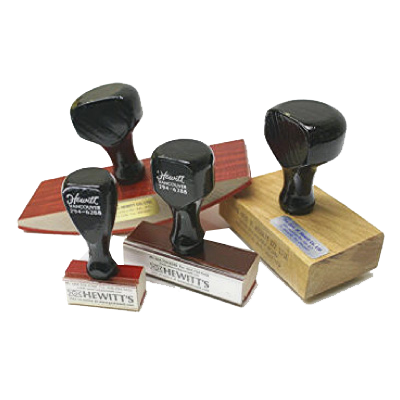 The traditional rubber stamp is used in conjunction with a stamp pad that comes in a variety of colors and is purchased separately. Heavy-duty and rocker-mount stamps are also available for an extra cost, depending on your needs. A self-inking stamp is different from the traditional stamp as it has an internal ink pad which soaks the rubber die with ink every time you use it. This stamp is recommended for use on boxes as it will stamp on corrugated cardboard. You can also change the rubber die with these stamps making them easy to update. 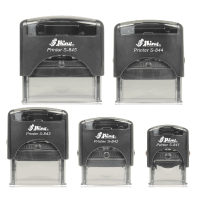 Self-inking stamps are perfect for repeated stamping when the stamp is used repeatedly throughout the day. To use, press downward on the handle which rotates the rubber die away from the ink pad. The rubber stamps the paper, leaving a crisp impression. To refill the ink, replace the ink pad inside the handle with a fresh one. The ink pad can be removed easily by pushing down on the handle a little and using a pointed item to push the pad through so that it emerges from the other side. Our competitive pricing includes custom rubber die and ink pad. A pre-inked stamp is a premium stamp which makes clear and crisp impressions. This type of stamp is ideal for office use and primarily used to stamp addresses, logos and any text in which the quality of the impression is most important. Pre-inked stamps are always ready for action and do not require a separate ink pad. The ink is impregnated within the stamp itself. Pre-inked stamps are re-inkable using a recharging ink to keep your stamp impressions looking great. 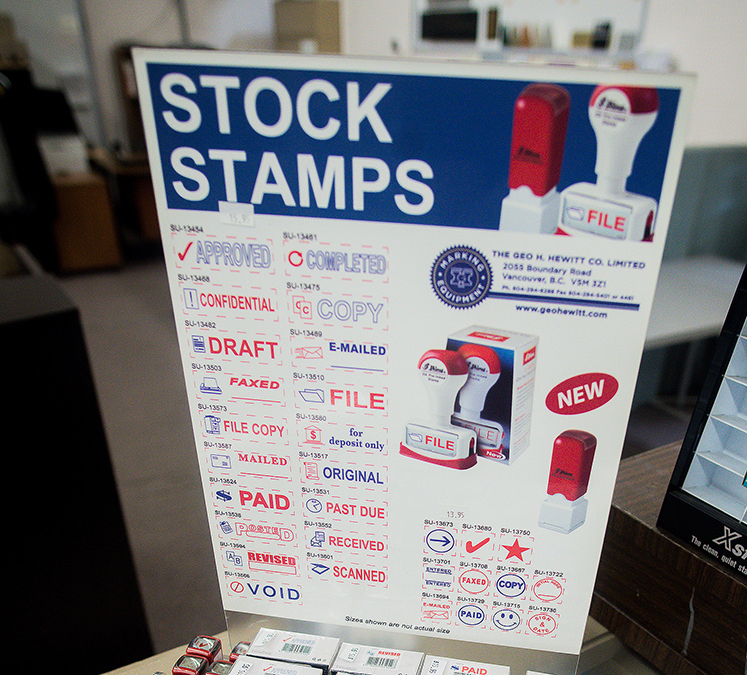 In addition to custom stamps, we also have a variety of pre-designed stock stamps available for purchase. These stamps come in a variety of designs and colors. Not only do these stamps improve the efficiency of your office, they are also a bright touch to any piece of correspondence keeping your organized and smiling. See the options listed on our order form below. Please note that these stamps are disposable and the rubber die or sizes cannot be changed. We stock stamp pad sizes from 2.25 inches x 3.5 inches to 7 inches x 11 inches. 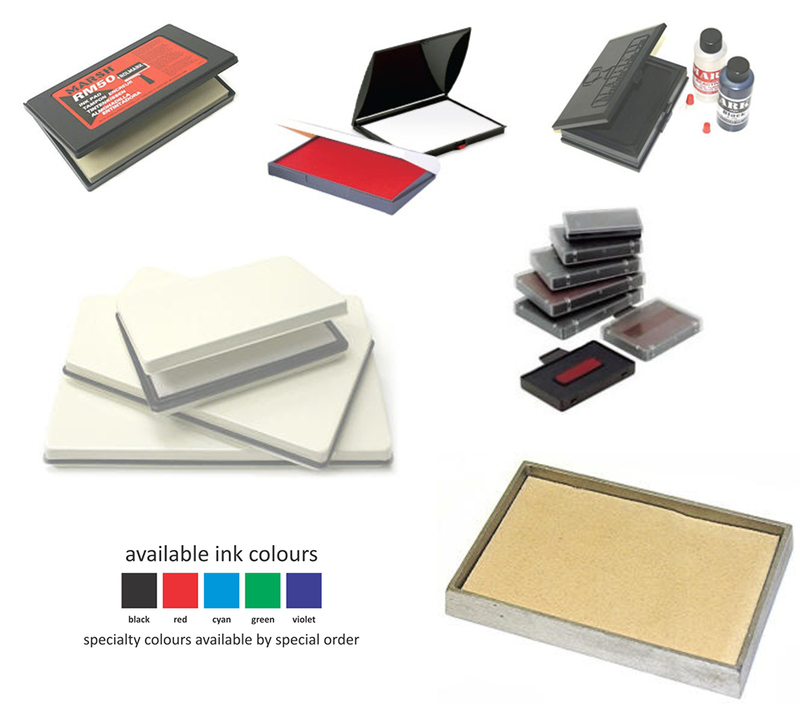 We also supply replacement ink pads for all major brands of self-inking stamps. These pads come in a variety of colors and you can also order custom colors as well! 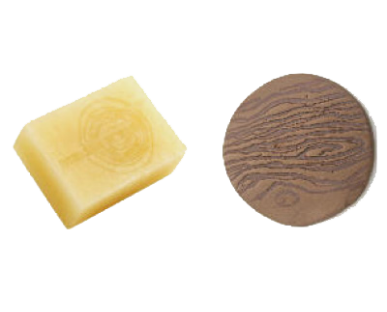 These 90 derometer rubber made products are specifically made for soap and pottery impressions. Use the stamp for marking into soap and clay pottery before the material hardens. The type on the stamp is extra deep and the rubber is extra hard, allowing for an excellent impressions into soft materials. Hewitt’s can manufacture un-mounted print mats for you to cut and mount yourself, or for systems and situations in which a flat rubber print mat is required. We can also supply custom-cut mounts and different size handles to satisfy any project. 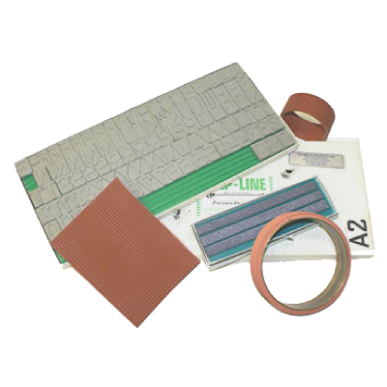 Hewitt’s has manufactured rubber stamps and supplied components to other rubber stamp companies for decades. Call us today and see if we can help you reduce your costs by providing you with our products. The stamp rack is designed to hold our Hewco Traditional Rubber Stamps (above) or any other rubber stamps which have a tapered handle. 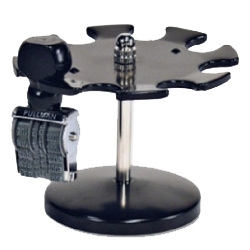 This product features all metal construction which would compliment any desk, counter or work station. The single tier models are designed for an 8 -10 stamp capacity while the two tier models are designed for a 14-18 stamp capacity. Stay organized and keep your desk clutter free with this handy product. Ribs on the back of the rubber type interlock with ribs on the rubber mat, which can be applied to any marking device or system that uses an ink pad or roller. 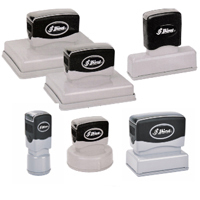 This system can also be used with larger types of self-inking stamps. This allows for fast changes of text, which is ideal for date coding and lot number changes. Graphics can also be incorporated in the type for product and brand identification.